Day 10: It's cider, we swear! 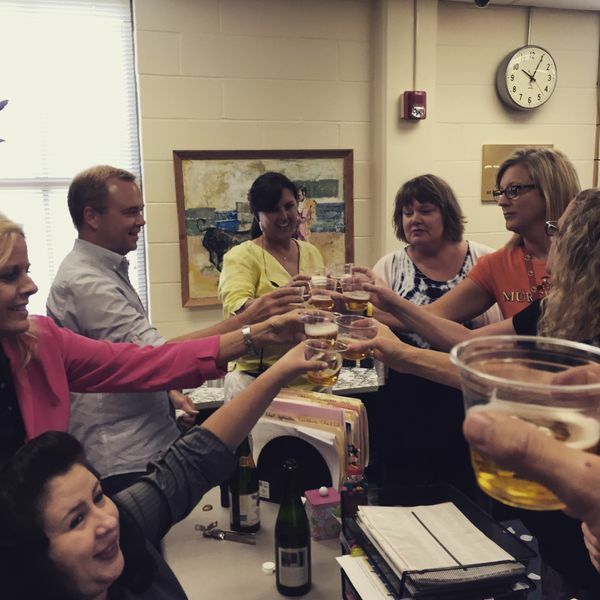 Celebrating an upcoming wedding this Friday called for some apple cider in the main office. What's not pictured are our flip flops, which were worn since it was "Flip Flop Friday"! I'm pretty sure we had more adults wearing flip flops than students, but that's okay, they're learning!